This 3 day instructor-led course teaches students how to use the enhancements and new features that have been added to SQL Server and the Microsoft data platform since the release of SQL Server 2008. 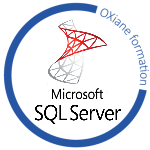 The course focuses on teaching individuals how to use SQL Server 2014 product features and other Microsoft data platform components. After completing this module, you will be able to: Describe new and enhanced dynamic management views. Describe how to use PowerShell to Manage SQL Server.